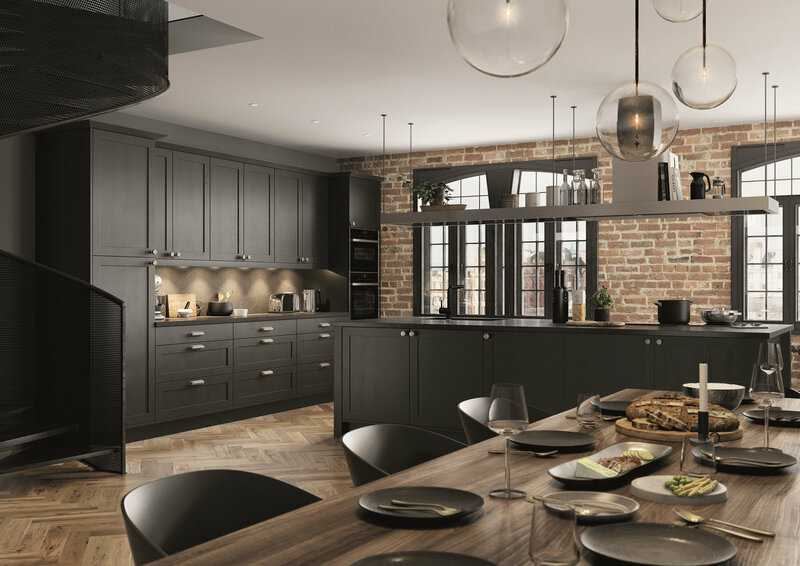 Walking through our many displays of fully installed kitchens, you will experience contemporary kitchen designs , classic kitchens and traditional designs in many different finishes from natural wood to painted and glossy acrylics. 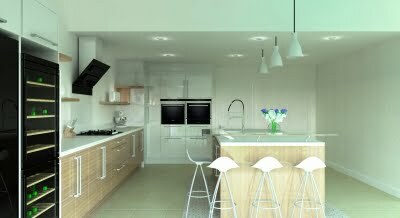 All are displayed with various types of worksurfaces, built-in and free-standing appliances, sinks, taps, decorative and practical cabinet lighting, Kesseböhmer pull-out wirework and shelving, waste bins, fitted televisions with the finishing touches of ceramic/porcelain/marble wall and floor tiles. Our showroom is literally a ‘living brochure’ to give you choice and inspiration for your new kitchen. You will be greeted by one of our friendly members of staff who can assist you with everything from the initial design of your ideal kitchen (or bedroom), through to choosing products such as the all important appliances, work surfaces, sinks and taps and any accessories you require. We will ensure that your chosen kitchen is perfect for your everyday needs and requirements and also suitable for your home and budget!!! Established in 1996, Kitchen World (Mansfield) became a limited company and moved to the current, purpose-built premises in 2003 as the ever-growing customer base began to snowball. Our purpose built premises boast facilities such as a large car park, disabled access, public toilets. We also have a bright, welcoming children’s room with toys and games to keep the kids amused whilst you browse in the showroom or relax with a coffee whilst reviewing your ideas with our knowledgeable and helpful staff. At Kitchen World (Mansfield) Ltd., there’s no pressure selling and no pushy salesmen. David, Lee and Justin, the three company directors, will be your designers, and your project manager, ensuring that you receive the very best service available and also gain from having some of the most knowledgeable people in the industry in this area overseeing the supply and installation of your new kitchen or bedroom right from the start through to completion at no extra cost to yourself. We will beat any written quotation for a kitchen or bedroom on a like-for-like basis GUARANTEED!!! 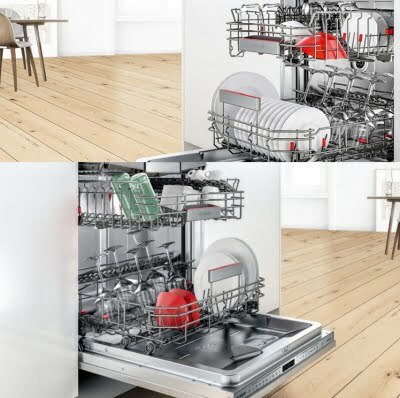 !, and all of our staff will treat you and your home with the respect that you deserve and leave nothing behind apart from a beautiful new kitchen or bedroom and you as a happy customer. HERE ARE JUST A FEW OF OUR FAVOURITE KITCHENS & BEDROOMS. 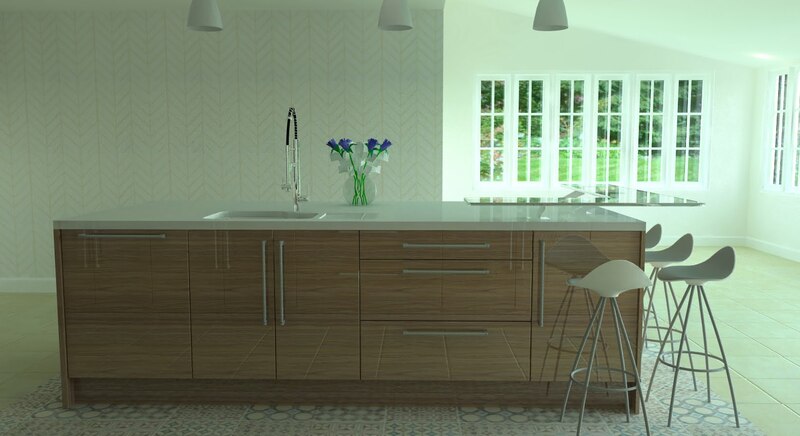 CLICK TO VIEW OUR KITCHEN RANGES OR BEDROOM RANGES. Due to our independence, Kitchen World are able to offer what is probably the widest range of door styles and colours in the area. Ranging from the foil & vinyl wrapped kitchen doors, through the acrylic and natural timber options to the solid timber painted options, we have a door style to suit every taste and budget. The information below explains the key points of each door type. There are options for Contemporary or Traditional with each door type. 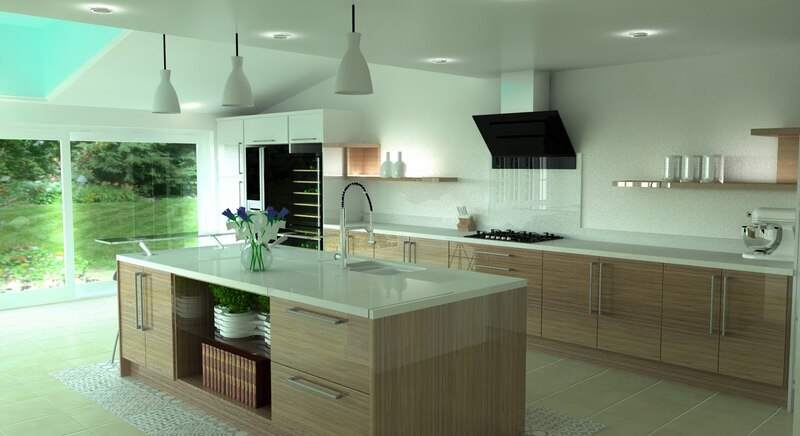 See our Kitchen Styles Page to view just a sample of the kitchen types we can offer. Acrylic doors are available in a variety of colours with either matching or contrasting edge colours, and in some cases can also be made-to-measure. gloss vinyl and therefore is more suited in a kitchen environment, however, this quality does increase the cost of the product. however, this does usually turn out be a more expensive option (as it is completely bespoke). Painted doors are available in a variety of styles and colours as standard. a very popular request, however, selected vinyl wrapped doors and MDF blank doors can be used in some instances to help reduce the cost. BioGraphy Kitchens are unique and offer flexible kitchen styles that enable you to reflect your personality with spaces that work for you and your life – with no compromise on quality, functionality or practicality. 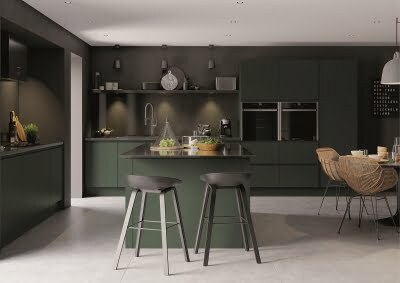 With 40 door options, plus 20 additional paint-to-order colours for further personalisation, you can create your kitchen to reflect your individual character and taste. 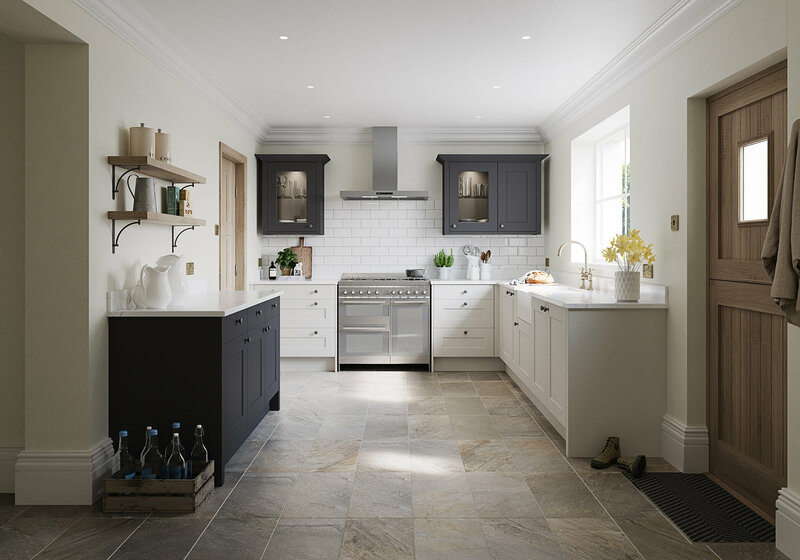 Both of the door types vinyl wrapped and timber are available in modern and traditional styles, with the acrylic type generally being ultra-modern and the painted option being the more traditional of all kitchen styles. Whatever the door style you choose, most are available with matching accessories such as cornice, pelmet, plinths, glass centred and feature doors, along with some of the more design orientated options such as decorative pilasters, wine racks, plate racks, spice drawers, decorative open cabinets, feature canopies and in the most traditional of styles, an over mantle fitment. To compliment all of our kitchens, whether you choose, modern, ultramodern or traditional we have an extensive range of kitchen door handles to suit every design, taste and budget. 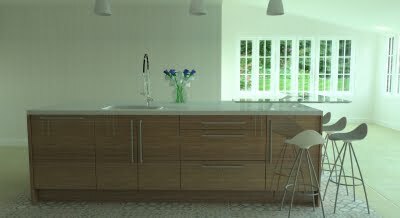 Our galleries of Vinyl kitchens, Acrylic Kitchens , Timber kitchens and Painted Kitchens are just a sample of what can be achieved. 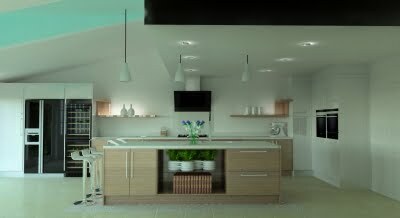 With our many years of experience in designing the perfect kitchen, the only limitation is your imagination. Please feel free to call in at our showroom and browse our varied displays or give us a call to discuss your new kitchen.